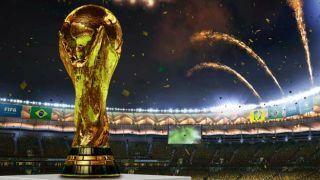 SnapChat users are being inundated with picture messages ahead of Sunday's World Cup Final as the messaging service experiments with a Rio Live 2014 account. Each of the app's millions of users are receiving a series of SnapChat-curated photos showing Rio from its users' perspectives, despite not being friends with the account. The "Our Stories" experiment gives SnapChat users a unique opportunity to join in the fun with first person perspectives. However, the feature, which has been opt-in only during previous Our Stories trials, has led to confusion and even anger from those who couldn't care less whether Argentina or Germany emerges victorious. Whether users welcome the insight or are annoyed by the continued interruption from face-painted footy fans in South America, Our Stories does represent a chance for SnapChat to eventually monetise its service. It could start to charge advertisers for sharing photo stories in much the same way Instagram has integrated sponsored posts and videos. What are your thoughts on the interruption? Let us know in the comments section below.